Apple's Jonathan Ive Considering Moving Back to England? The Sunday Times reports that Apple designer Jonathan Ive and the Apple's board of directors are at an impasse about his future. The British designer is said to want to spend more time in the UK while Apple's board seems unwilling to allow that. The report comes by way of The Daily Mail and Cult of Mac as the original article appears to behind The Sunday Times' paywall. Ive has reportedly been tied to Apple for the past three years based on a "golden handcuffs" deal from 2008. That deal is reportedly due now and will net the designer 18 million. The completion of this deal seemed to open these negotiations with even the possibility of his leaving the company. Ive reportedly has proposed to commute from Somerset, but Apple's board seems unwilling. 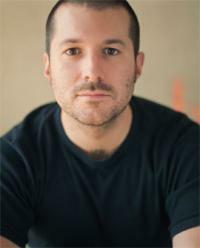 Jonathan Ive has long been credited for being the principal designer for many of Apple's iconic products. Ive joined Apple in 1992 and has been responsible for the design of the unibody MacBook Pro, iPod, iPhone and iPad. His name was even thrown around as a possible successor to Steve Jobs in 2007.